The Masonic Blue Carbon Fiber And Stainless Steel Bracelet is an incredible piece of jewelry. The blue carbon fiber inserts provide an elegant contrast to the stainless steel construction. 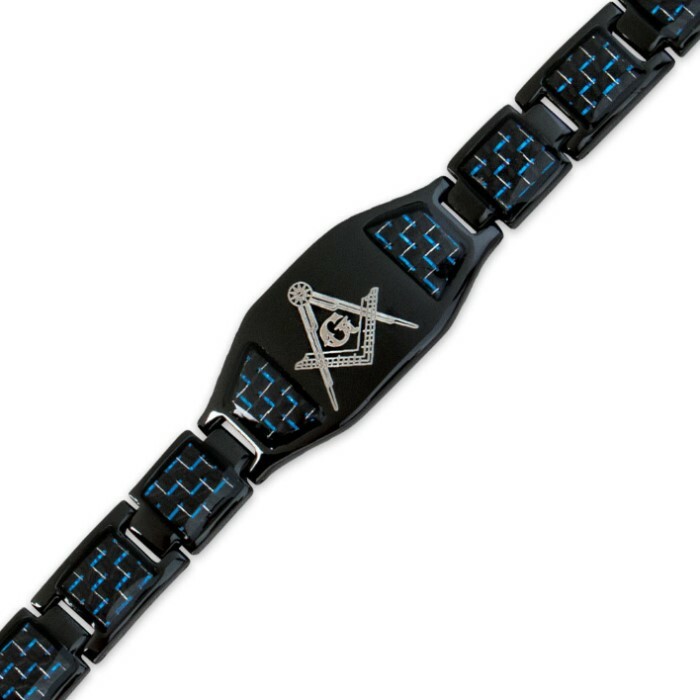 The piece features a Masonic design element. It also has integrated health element magnets for an extra benefit. The bracelet is 8 1/2" in overall length. 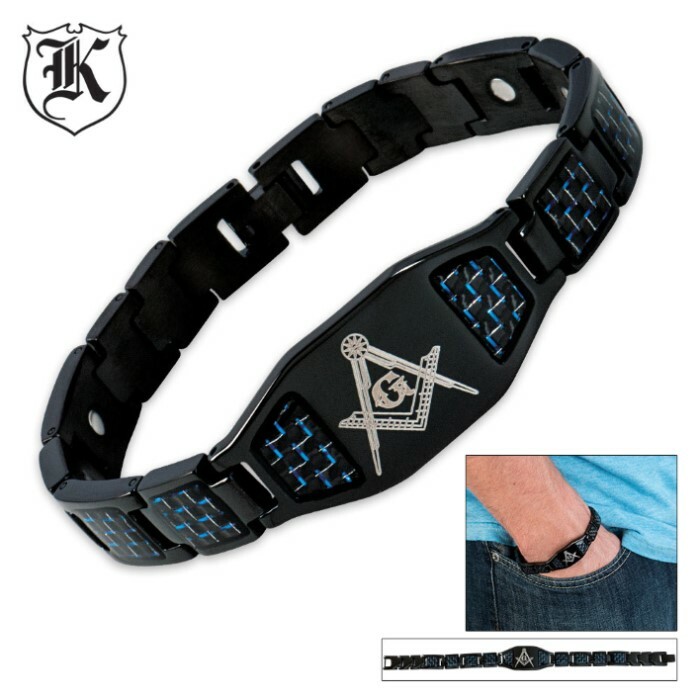 This is a "Blue House" Freemason must have. The blue carbon fiber inserts really make this bracelet stand out. I love it. I have received many positive compliments on this bracelet and the (3) magnets are also a plus... Looks Good, Good Quality and Great Price..